Finally a porcelain vent cover that matches your porcelain tile floor perfectly. Our Flush Mounted floor vents add style to any tiling project. Each vent is made from the floor tile you've selected and designed to lay flush with your floor. Beautiful, durable and easy to install all of our Flush Mounted floor vents come complete with a sturdy steel back support and a separate diffuser (dampener) levelling plate which allows you to control the air that enters into a room. Adding porcelain or ceramic Flush Mounted vents to your new floor will give your room an elegant final touch. 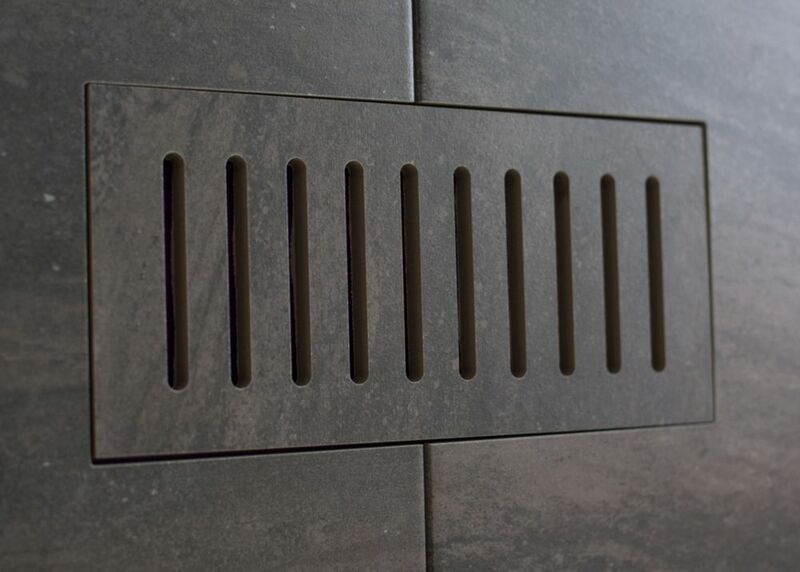 Porcelain Vents are a perfect match to your new tile floor. Durable, and safe to walk on, perfect for high traffic areas. Producing a high-end look at an affordable price, Onda Blanco Porcelain Wall and Floor Tile coordinates with many decor styles to create a modern aesthetic. These elegant white 12 in. x 24 in. rectangular tiles have an impervious water absorption rating, which makes them a splendid choice for showers in addition to countertops, walls and floors. Highly durable, marginally skid-resistant and easy to clean, these Onda Blanco large-format tiles have a glossy look, smooth finish with a high sheen and slight tone variations for an exquisite look. Porcelain vent cover made to match Fragment Graphite tile. Size - 5-inch x 11-inch Finally a porcelain vent cover that matches your porcelain tile floor perfectly. Our Flush Mounted floor vents add style to any tiling project. Each vent is made from the floor tile you've selected and designed to lay flush with your floor. Beautiful, durable and easy to install all of our Flush Mounted floor vents come complete with a sturdy steel back support and a separate diffuser (dampener) levelling plate which allows you to control the air that enters into a room. Adding porcelain or ceramic Flush Mounted vents to your new floor will give your room an elegant final touch.